Looking for some super cool ideas that will show you how to spice up a boring outfit? Well, we are glad to inform you that we have few interesting ways that will help you to transform your look from boring to stylish eye-catching! Thus, follow reading below and get ready to do some magic! 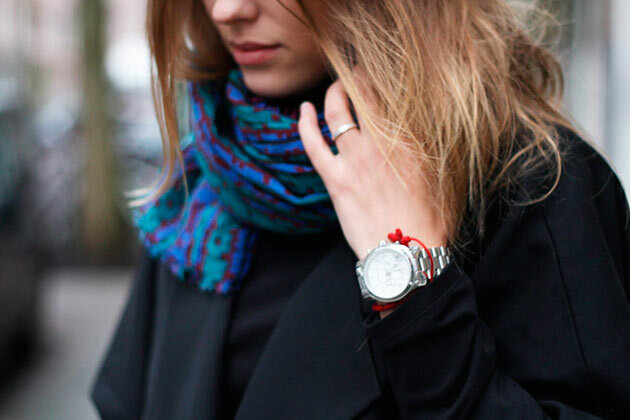 Adding a colorful scarf to you combo can be a last minute task that will save your look from being boring. In fact the more vibrant is your scarf the better are the results! Try this easy method and enjoy the results! Another super easy trick that can make a difference appears to be the one of adding a trendy belt. In fact there are so many belts to choose from that makes you able to choose different one each time to show off new interesting look! Choosing the right hat depending on what style you want to go for can be one of the easiest ways to spice up a boring look! Moreover, a hat is considered the best accessory when it comes to adding sophistication to a look which another important thing to consider before you start accessorizing your look. Another great idea that we suggest you to go for when it comes to spicing up a boring outfit is the one of sticking with a pair of eye-catching, colorful shoes that will add a trendy vibe to the entire look! Last but not least even if you find you look a complete fail because it has nothing interesting on remember there is always the great trick of adding a bold jewelry and creating a stylish, attractive combo!